Home / Super Screener Results / Saratoga & Del Mar Opening Weekend Recap + Results! Saratoga & Del Mar Opening Weekend Recap + Results! The two Super Screener “A” horses completed the Exacta and the horse isolated as a top “under” proposition offering some value, Whiskey Echo, delivered by completing the Trifecta at 7-1 in the compact field. #4 Whiskey Echo, the stablemate to #7 Bano Solo is worth taking a look at considering the addition of Lasix and the fact that the colt is begging for more ground. Jockey Irad Ortiz Jr. sticks, and while he won going wire-to-wire last out, look for more of a presser or an off-the-pace trip here. A very worthy value play to use some in the win spot but even more “under”. A good handicapping lesson to take away here for these 2 year-old stakes races run anywhere in the country, in which these horses are now running longer sprints and eventually routes, is the value of a balanced energy distribution profile in which a horse lays out energy fairly evenly throughout a race even if they win wire-to-wire in those shorter 4.5, 5 and 5.5 furlong races. Note how the top two finishers in the race posted relatively equal BRIS pace figures throughout the running of their prior race. In the case of Sombeyay, the colt came from off the pace after a troubled start. For Strike Silver it was a wire-to-wire win that got the job done yet ran very evenly throughout. This type of “balanced energy” running line bodes well for 2 year-olds stretching out to longer sprint distances. This was originally a 10-horse field that got decimated when 5 horses defected including odds-on favorite, Accelerate. No matter for the Super Screener lone “A” horse with heavy conviction, Catalina Cruiser, who just crushed the field going wire-to-wire on the dead rail drawing away with plenty left in the tank. It is one of Sadler’s “other” horses that has emerged as the Top Win and Top Value pick…#1 Catalina Cruiser. The stock on this late blooming 4 year-old continues to rise. Note that he won his debut smartly last October and then followed that up with an even better looking win 7 months later nearly laying down triple BRIS Pace/Speed figures across the board which is very rare. And, each of these wins was achieved after breaking slow. Screener places high value on that and those long and fast series of works. Both his elevated and balanced energy distribution profile and his breeding indicate that making the switch to a two-turn route will present no problem at all. Even the rail draw isn’t a big deal. Moves up here, of course, but catches a field in which many of the starters are not sitting on big races. While Dr. Dorr did finish 2nd it was really by default as there just wasn’t too much to beat behind him though he did outrun his stablemate, Dabster, who improved here and should move forward off that effort. You would have to spread in this race, especially on the bottom of the Superfecta and may want to avoid Trifectas and Superfectas due to… “too much chaos under in this race”. Longest shot on the board finished 4th at 72-1. Speed would wilt due to the hot and pressured pace thereby favoring closer types. War Heroine a “B” horse that was included as an “if spreading candidate for horizontal wagers” took the field wire-to-wire. As was confirmed the next day when a Sadler horse wired a turf field at odds of 70-1, this turf is playing very kind to speed. Top picks Rockin Ready and Dulce Ride were complete no shows finishing 2nd and 3rd to last, respectively. Major disappointment. Ollie’s Candy was even better than we thought as Nakatani did take her back reserving her energy early on and slotting over for a decent trip from the 14- hole. Grade 1 Diana Stakes…one of the 2 Super Screener “A” horses in the race, Sistercharlie nosed out a stubborn Ultra Brat at the wire as the odds-on favorite. A Raving Beauty was accurately faded as a win contender. Hawksmoor held on to 4th after leading the field through modest but a bit swifter fractions than anticipated. 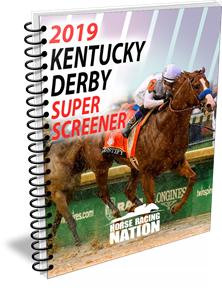 The pattern that the Super Screener identified for New Money Honey that made her a strong win contender at a price did not repeat here and she ended up in the back of the field…she is going to need more time. Del Mar 9th – Jerry Hollendorfer-trained, Rowayton, was one of the buzz horses coming into this meet and he did not disappoint easily waltzing away from this field in his debut. His stablemate, Dueling, and the Super Screener 2nd choice completed the Exacta. Del Mar 10th – Top Value pick, Take A Leap, lost his rider at the start so that contender was out but a top win pick and the top board hitter pick Camino Song prevailed as the favorite and the advice to single in 1st and 2nd with A/B/C horses was the right move despite the chalky outcome. This coming weekend it is all Saratoga on Saturday with 4 graded stakes races and then followed by a huge day at Monmouth on Sunday featuring multiple graded stakes races anchored by the Haskell Stakes. Oh, and not to be outdone, Del Mar features two G1 stakes races this weekend as well: the Bing Crosby on Saturday and the Clement L. Hirsch on Sunday. It is a can’t-miss-weekend of summer’s best racing action! Until this weekend, Go Fast and Win! ← Previous Story Ice Cold Ohio Derby Exacta – Get The Recap! Next Story → Big Bing Crosby Hit + More – Recap!